It was not too long after two police officers were shot in Ferguson, Mo. in the midst of an otherwise peaceful protest Wednesday night that law and order types sought to blame protesters for the crime. St. Louis County Police Chief Jon Belmar claims the shooter was embedded among the protesters, providing not one shred of evidence for this claim. Most witnesses said the shots seemed to come from the hill behind where the protesters were assembled. Three people were detained and questioned, apparently because police thought they were “acting shady” when they drove away from the scene of the shooting, but they were released. The two police officers who were hit have reportedly been released from the hospital. 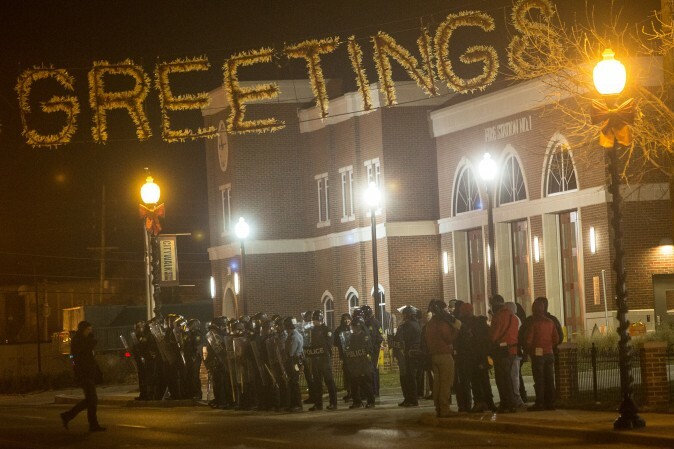 Read More Blaming Protesters for Ferguson Police Shootings Is a Deliberate Tactic | Alternet. This entry was posted in News from the Soul Brother and tagged Ferguson, Ferguson Police Department, Jon Belmar, Missouri, police shooting, protests, Roy Blunt, social action, St. Louis County. Bookmark the permalink.